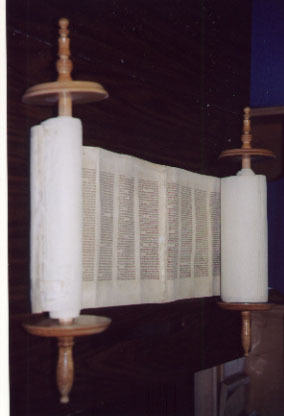 In other words, of the 248 columns of the Torah, all but six (6) columns begin with the level Vav(V), itself of numerical value 6, representing the standard level of the Torah, Zeir Anpin. These special 6 letters, beginning with the first letter of the Torah, the Bet(B) of Bereshit, are our connection to the higher sefira (dimension) of Binah (Understanding). According to chazal, they spell out the phrase, B’YH ShMV, “In the Name of G-d (YH) and they have the numerical value of 363, that of H’Moshiach (The Messiah), and also of “Moses Lives (Moshe Chai)”. Then, oddly enough, the exact phrase is repeated again in the first verse of Shmot (Exodus) 1:1. And since the letter Vav(V) is the one distinguished by these two very special phrases, it’s notable that there are 778 Vavs in the Torah separating the two verses (from Genesis 46:8- Exodus 1:1). It’s notable because H’Moshiach is supposed to arrival, according to the tzaddikim in the year 5778, which is 222 years before the 6th millennium. And those 778 Vavs have a total value of 4668, which is 1110 or 10 x 111 (the numerical value of the first letter Alef), less than 5778. As explained in prior articles, Alef is representative of the Tree-of-life and whenever any Torah numbers are in multiples of 10, it’s also a reference to the 10 sefirot (dimensions) of the Tree-of-life. So obviously this phrase is very telling. It’s the beginning of the Israelite Journey. And like all Torah journeys, it’s connected to the 42-Letter Name of G-d. So it’s not surprising that the first word of this key phrase has the numerical value 42 and that the second word is Shmot (Names), as in the 42-Letter Name of G-d, the understanding of which chazal has said will be what brings about H’Mashiach and the geula (Final redemption), or the end of days as some like to call it. We prefer to think of it as a new beginning, the time when the 10 Sefirot (dimensions) of the Tree-of-Life become a reality for us. And just in case we were to doubt that these two identical verses aren’t supposed to be linked together, we should note that the total gematria of both phrases together with their ordinal values is 4240 or 10 times 424, the numerical value of Mashiach Ben David. But there’s more to these verses than just setting our course for receiving Moshiach Ben David in 5778. The Torah’s depth and technology is infinite and the deeper we probe, the more we align ourselves with the Tree-of-life reality. Simple enough, except that the Torah slipped in the word first-born (Becor, BCR) except that BRC is the root of merkava, MRCBH, which as we’ve discussed (VaYigash) is both the chariot that Joseph harassed to meet his father and complete the Tree-of-life and the one Ezekiel saw in his famous prophetic vision. We’ll explain, or rather let the Arizal explain this in a moment, but first we want to draw the parallel, to occurrence 54 paragraphs later, of the 10th plague, the killing of the first born. This is far from coincidental as there are 54 letters in both the phrases cited above and because as we know 54 x 107 = 5778, which is not an arbitrary equation because all the integers through 107 also = 5778. Moreover, the Torah immediately goes on to tell us that “Reuben sons were Chanoch..,” as in the 7th Man in the lineage of Adam, Chanoch(Enoch), who chazal has explained became the archangel Metatron, the angel in Ezekiel’s vision. The Ari is saying that these three letters (energy sources) when taken together connect to the top 3 sefirot: Keter, Chochma, and Binah. He continues, “Chochma is referred to as “reishit chochma” (“the beginning of wisdom”) based on Psalms 111:10: “The beginning of wisdom is the fear of G-d.” Also, chochma is the first conscious sefira, and is therefore known as “the beginning”. Please note that Wisdom is connected to 111:10 and as we saw earlier these two verses were also connected to 111 x 10. This is Wisdom, not coincidence. And likewise the Ari is connecting Chochma (numerical value 73) with reishit, the beginning, partially because the numerical value of the Torah’s 1st verse is equivalent to all the integers through 73. And if you don’t think these 2 verses, including the very first verse of Shmot (Exodus) don’t hark back to the seed of the Torah–it’s very first word, please take note that the 6 letters word Bereshit (“In the Beginning”) itself (BREShYT) are found in each of the 6 words of these prophetic phrases. 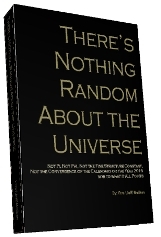 Now we can understand why the equation alluded to by the phrase above 6000 -222 = 5778 is significant, because 222 is the numerical value not only of 2 x 111 (alef) but of BCR, the root of all blessing and the chariot that will take us there. In Exodus 1:1 “And these are the names of the sons of Israel who are coming into Egypt…” the word used is Haba’im, meaning literally”the ones coming.” The first time the Torah dictated this phrase it made sense, but the second time it did not, since they were already in Egypt, which means the Torah must have been alluding to the future exile, which in turn means it was written for us, so that we could deal with the exile, and know our time to exodus from it. The gates are opening. Just to be thorough, we’d like to point out that the simple numerical value of both phrases together including the kolel for the the 27 identical letters is 3695 and the simple numerical value of the rest of that first verse (Genesis 46:8) is 2083, so combined they equal 3695+2083 = 5778. The numerical value of Chayot, the animating forces, of the Chariot is 424, so the 2 phrase that sum to 4240, or 10 x 424, take us deeper into the vision of Ezekiel and closer to the Tree-of-life. The secrets are all in the letters; the path is through the letters. Th numbers help guide us, but the 27 Hebrew letters are the key. Let wisdom be our guide. 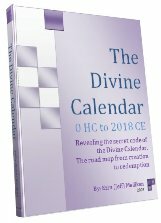 In Zohar Shemot we can find a detailed description of the time and process of Mashiach revelation. Next Next post: The Calendar is for Everyone; The Tree-of-Life will be Open to All.